The Fan Dance SAS Selection Test | Dare You Take on the Challenge? This is a 24km route march in the Brecon Beacons which is the infamous SAS Selection Test. It is now over 50 years old and still, today forms the first major hurdle on Selection and an indicator as to whether a potential UKSF soldier has the physical and mental determination to complete it within the cut off time set by the D.S (Directing Staff). The challenge begins as soon as the race does with an immediate ascent of Pen y Fan which is 2,907 feet (886 m). The route then descends on the other side of the peak with a pathed route to the halfway point before turning around and reversing the route. The return leg provides an even tougher challenge with the evil ascent back up the Fan known as Jacob’s Ladder. Once you have completed you will receive a custom TSFE The Fan Dance medal and certificate and first place prizes are given for each category for both male and female participants and team entries. 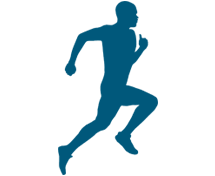 For participants who wish to run or walk the route without a weight requirement. A mandatory kit is required and a list is provided ahead of the event. 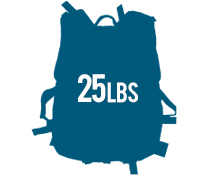 Minimum of 35lbs weight carried, excluding food and water. 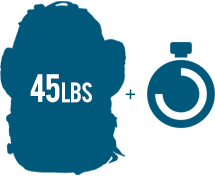 A mandatory kit list and guidance on what to pack for weight is supplied ahead of the event. Separate categories for those Over 50. The same mandatory kit is required as for the Clean Fatigue and Loadbearing categories. 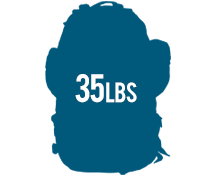 The Over 50’s Loadbearing is reduced to 25lbs. Loadstone category is exclusive to those on the Loadstone Aptitude event, which encompasses three events in one series. Further details. By bus: Take the T4 service between Cardiff and Newtown. For up to date local bus information call Traveline Cymru on 0871 200 22 33 or use their online journey planner at TravelineCymru. By train: The nearest train station is Merthyr Tydfil. The registration point (Pont ar Daf car park) is 11 miles (18km), 18 mins, by road. By car: From the M4, follow the A470 north towards Brecon. There are large car parks at both The Storey Arms and Pont ar Daf. For more details, and to plan your journey from further afield, please use the Google Maps direction finder.